The Pink Boots Society is excited to announce and introduce the three ladies that have been selected by the PBS Scholarship Selection Committee (SSC) to receive a scholarship to the 2018 YCH HOPS Hop and Brew School ®. 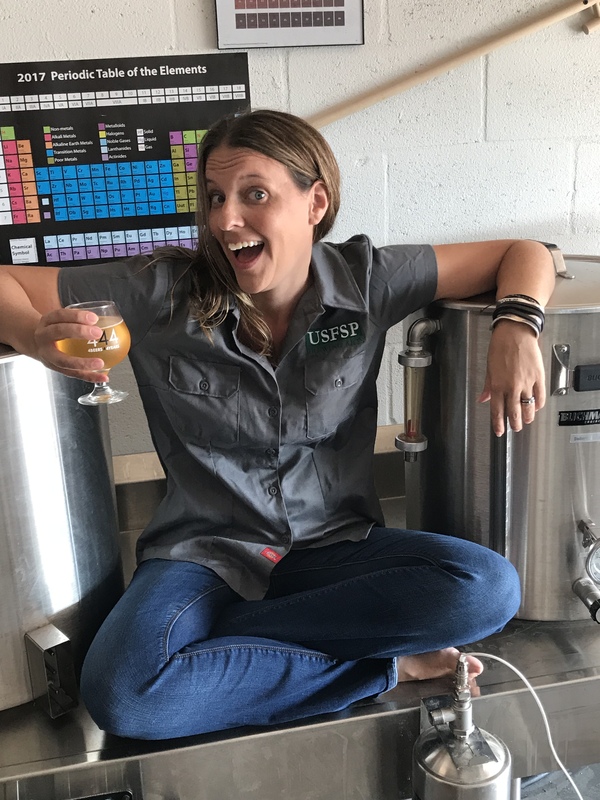 Hailing from Florida, Texas and Kansas, these three women are in various stages of their brewing careers. 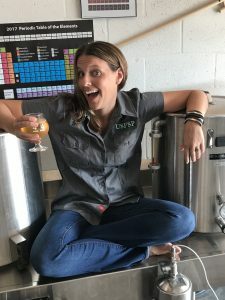 Making her way through the Brewing Arts program has included completing an internship with Green Bench Brewery where they wasted no time immersing her in the daily work. Morgan says, “I was given a tour of the facility and immediately set to work. 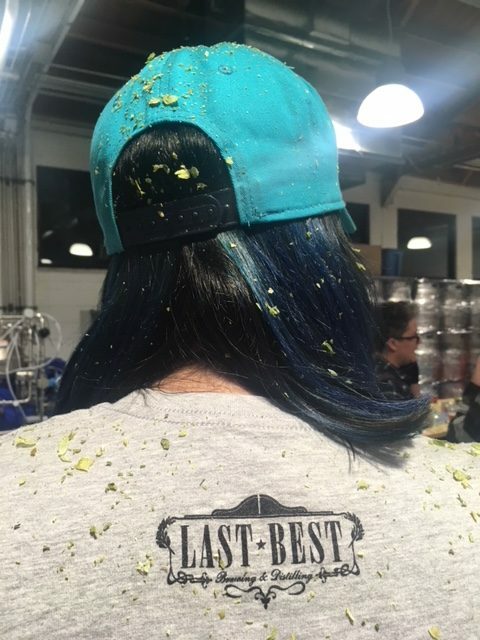 Each day at the brewery brought new challenges and with it new discoveries.” She has also completed the hops-focused component of the program but feels this is an area where she has a weaker understanding and is looking forward to instruction from global award winning brewers this course will provide. Two years ago Libby took her first job in the industry, working at St. Elmo Brewing Company as a manager and event planner and has since gone on to brew two beers there. She is looking forward to the knowledge she will gain personally from being physically immersed in “a mecca of hop production” to help her complete her Cicerone certification and also sharing that knowledge. 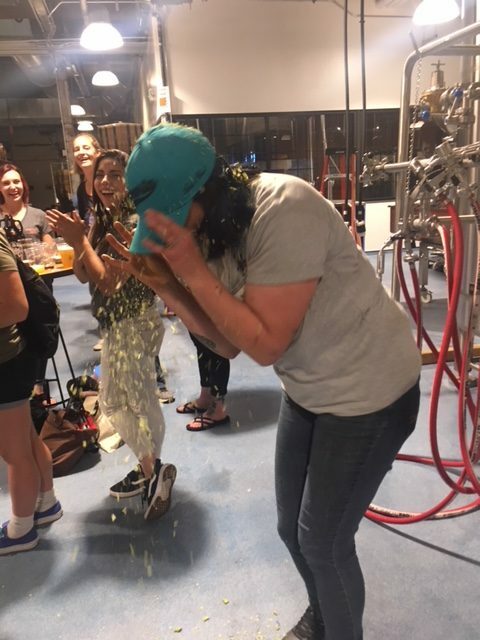 “As a manager with a staff who has a literal thirst for beer knowledge, I would be able to integrate the lessons of the course into our monthly trainings,” she says. YCH HOPS Hop and Brew School ® is a two-day onsite course in Yakima, WA that will cover topics including new trends in hop breeding, hop chemistry and brewing techniques. Guest speakers include award-winning brewers from across the United States speaking on hop usage, recipe formulation and brewing methods. Local hop farmers will also be in attendance to address the numerous growing aspects of hops from yields and aroma characteristics to new, up and coming proprietary varieties. The course includes a ranch tour, where attendees will experience the hop fields and witness hop picking, drying and baling, as well as a guided tour of YCH headquarters, where they will observe the receiving and warehousing of the hops. Gasseling Ranches, a fourth generation hip farm in Wapato, WA is sponsoring one of the scholarship and has been operating for over 100 years. They produce many varieties for YCH including Mosaic, Simcoe, and Citra, and are fully committed to being a sustainably operated farm with the Green ChiefⓇ certification. In addition to attending the course, each of the ladies will receive a pair of pink steel-toe rubber boots when she fulfills the Pay It Forward requirement associated with the scholarship. New This Year: Special Pink Boots Brew Hops Blend! We are so excited about Pink Boots Brew this year! 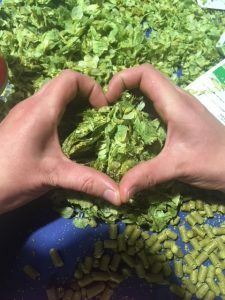 Thanks to the generous folks at YCH Hops, we have an amazing and unique blend of hops chosen by our members for this year’s Pink Boots Brew (formerly Big Boots Brew). Read the YCH Hops blog for the background story AND learn what hops the blend contains. At the end there’s a link to order hops for your brew this year. Make sure to order your hop blend by February 1st! 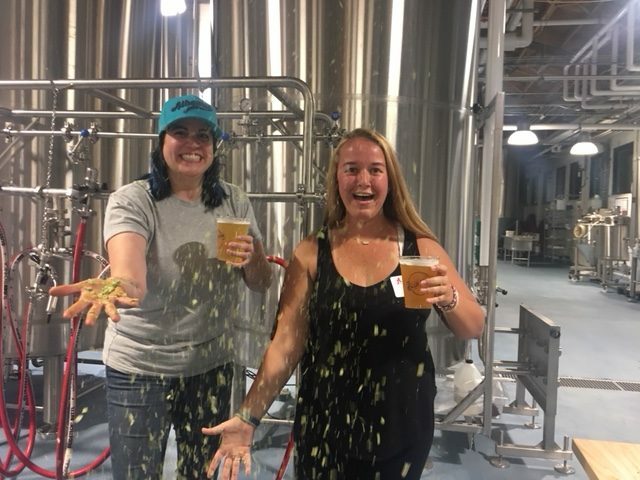 YCH HOPS and the Pink Boots Society, a global nonprofit organization supporting women in the brewing profession, are thrilled to announce the release of an exclusive hop blend to celebrate women in the beer and brewing industry. This proprietary hop blend officially named Pink Boots Blend will be available to commercial brewers and a portion of the proceeds will benefit the Pink Boots Society scholarship funds. 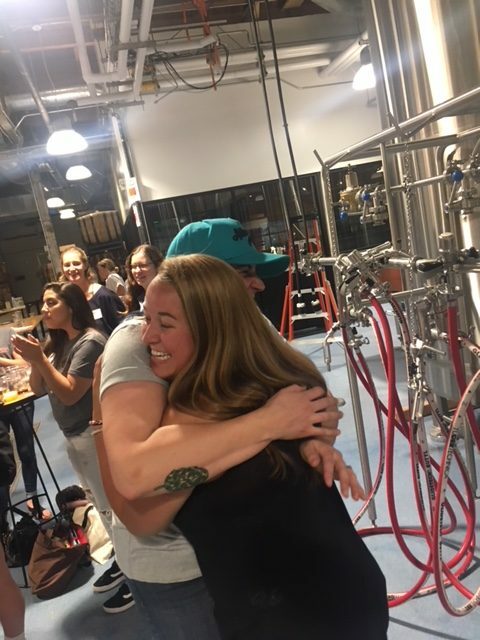 The idea to collaborate on a hop pellet blend stemmed from a casual conversation between YCH HOPS CEO Mike Goettl and Regional Sales Manager Kelly Lohrmeyer while walking through the hop fields during the annual Hop & Brew School event. They both spoke of their shared passion to encourage and support female brewing professionals. What started as a casual conversation quickly led to a partnership with The Pink Boots Society (PBS). 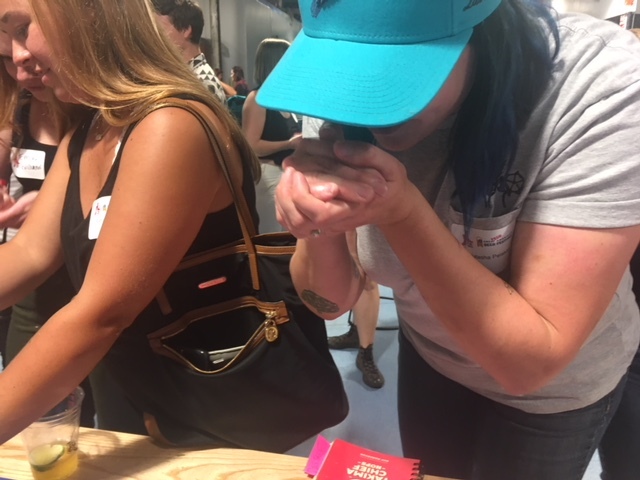 During the 2017 Great American Beer Festival in Denver, YCH HOPS staff and PBS members met to rub, smell and experience a selection of hop samples for the upcoming blend. This year’s blend includes Palisade®, Simcoe®, Mosaic®, Citra® and Loral®. The hope is that a new blend will be chosen during the harvest season by members of Pink Boots Society and processed into traditional T90 pellets at YCH HOPS production facilities. 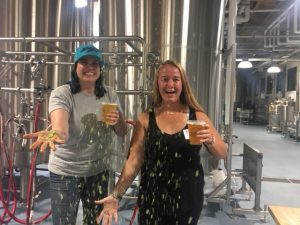 The hop blend will be released to commercial brewers prior to International Women’s Day on March 8th and are encouraged to create their own celebratory brews. The blend will be sold by YCH HOPS with limited availability, and a portion of the proceeds will be donated to the Pink Boots Society Scholarship funds. The annual Pink Boots Blend is YCH HOPS’ latest commitment to embracing and furthering diversity in the industry. 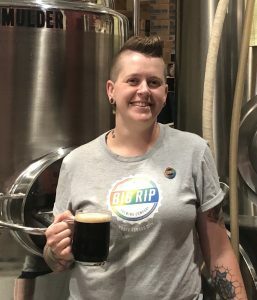 They are proud to support women from across many facets and functions of the brewing industry. 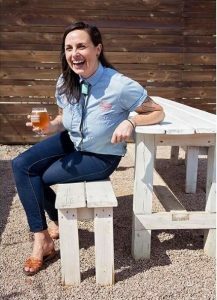 The YCH HOPS family also includes a female hop grower/owner and three women that sit in senior leadership positions, including two in the C-suite. For new customers, please complete a YCH New Account Request Form.